Especially for schools from outside the Netherlands, we offer an interactive tour of the Maritime Museum Rotterdam in Dutch, English, German or French under the guidance of an expert and enthusiastic tour guide. 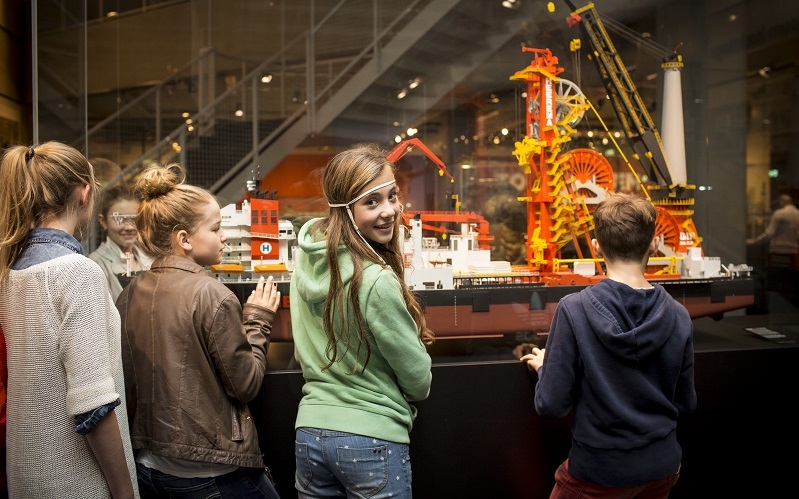 At three different exhibitions, depending on the area of ​​interest of the group, your pupils discover everything about the VOC, the port of Rotterdam and energy production at sea. We take them through six centuries of maritime Dutch history and show the enormous impact of the maritime world of the past, today and tomorrow on daily life in the Netherlands. In the Maritime Museum Harbour pupils visit the lighthouse where they watch a film about the port of Rotterdam and board the museum ship Annigje. This Hasselteraak is one of the highlights of the Maritime Museum. The ship is more than a hundred years old. Discover what the Dutch are known for worldwide! The costs are € 120.00 / € 150.00 for a maximum of 20 people, including supervisors. The program lasts 60 minutes and can be extended with a 30 min. educational tour at the museum harbour. Do you want to make a reservation or do you still have questions? Feel free to contact us.